What is Art Therapy? How creative arts is contributing to the world of mental health and why you should give it a chance. If you’ve gone to a therapist in the past, you might have experienced how uncomfortable talking can be. Sometimes, trying to express your feelings can be a nerve-wracking experience on its own, especially when you don’t have the words to pair with how you’re feeling. I’ve personally experience this uncomfortable feeling myself. I sat on the couch in her office, she sat way back in her chair, wouldn’t break eye contact, or say anything to me. It was the most uncomfortable experience, I nearly had an anxiety attack from how pressured I felt. I’m not a talkative person, and I need to be prompted to talk, especially when it’s about what I really am feeling. Thankfully, not all therapy experiences are like this, I just happened to stumbled on someone who didn't fit my needs. This can be a common experience people find when they try out therapy. Talk therapy is common to see in popular media, so it’s not uncommon for one to think that it’s the only type of therapy available. This is most likely why I have so many puzzling looks when I tell people that I study art therapy. These are the two most common questions I’ve received since starting my studies. Don’t worry if you’ve never heard of it either, I discovered the world of art therapy only a year before starting my program. In a nutshell, art therapy is a great therapy option and is very beneficial to those who have a hard time verbalizing how they are feeling. The best thing about art therapy though, is that you don’t need to be an artist to give it a try. We’ve all experienced art in some capacity throughout our life. In your youth, there might have been collages in school, drawings of your family in crayon, macaroni art, and lots of play-doh sculptures of your favorite food. As an adult in this modern world, your artistic processes may of shifted to taking pictures of your meals and tailoring the perfect Instagram feed around them. Maybe you’re a chronic doodler who doodles their anxieties away during a meeting, or maybe you use an adult coloring book to get through a long plane ride. Humans are naturally creative beings. We naturally scribble when we are toddlers, decorate our spaces to our liking, and look at things that visually please us. As we grow older, we are told that we can’t make a living on art and that we have to find a way to make money. This often kills that creative spirit that is so hard to reignite. It makes sense that we have this innate creative energy, but what does it have to do with therapy? 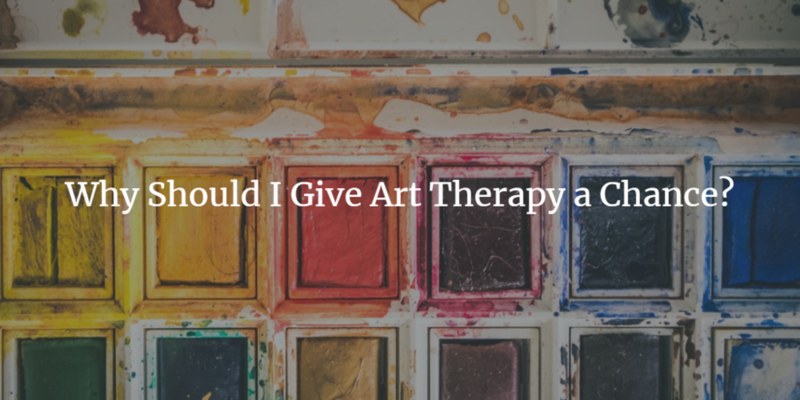 Now if you haven’t heard of art therapy before, don’t worry. Art therapy flourished in New York City in the 1900’s and was developed by Margaret Naumburg and Edith Kramer (Junge, 2010). At the beginning, there was a strong divide between the pioneer’s views in regards to process vs. product. 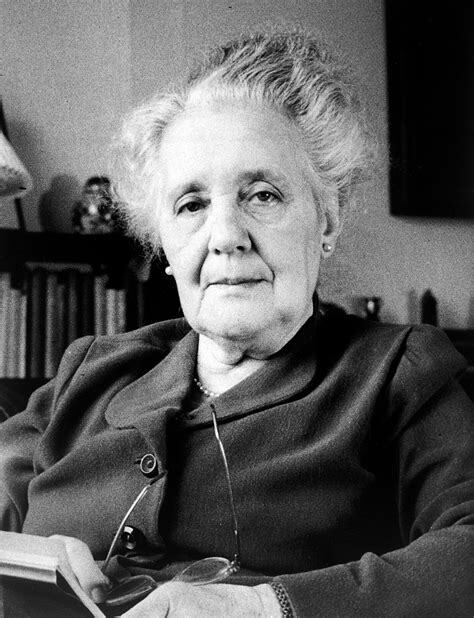 Margaret Naumburg (1880-1983) was known as the “mother of psychology” and created art therapy as a profession. She took her ideas on art and symbolism and combined them with Freudian theories to create art psychotherapy. What this means is that the unconscious speaks through images and symbolism. It’s finding meaning through imagery, and focusing on the process of creating the piece (i.e. how you felt while creating, what came up for you), rather than the product. Edith Kramer (1916-2014) on the other hand, was an art teacher that believe the product is the most important part. She believed the product holds the mysterious potential for healing. You may experience this when you complete a project and feel proud, disappointed, or even frustrated with yourself. The results of the project evoke some kind of feeling, and thats what Kramer was looking for. Art can be a very transformational tool. According to Malchiodi (2007), we can find meaning, self-understanding, personal growth, empowerment, and healing through the process of art-making. Through the use of imagery and symbols, art can serve as a tool that gives a voice to your emotions. It can be a powerful coping tool in times of distress, and for those that enter art therapy without any formal artistic experience, it can be a powerful way to build confidence . Another benefit that art therapy offers is the sensory experience. 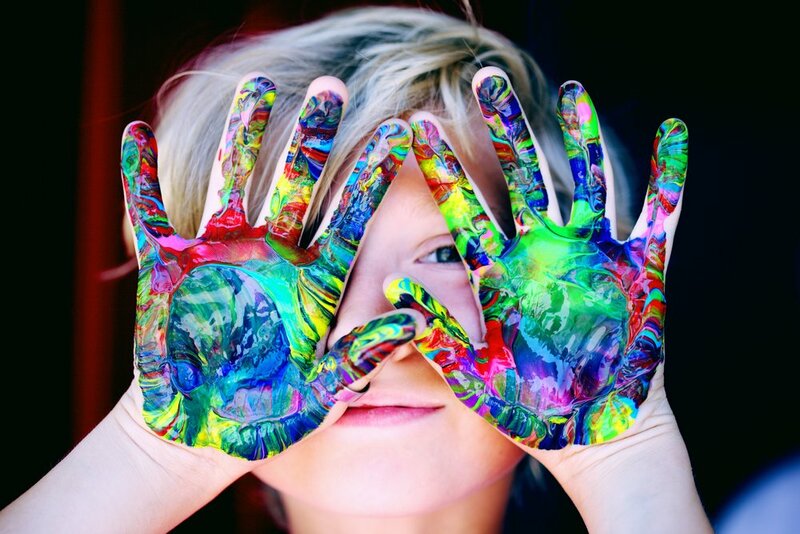 With art being a hands-on activity, the sensory aspects can provide a way to tap into emotions. Sensory experiences are beneficial for anxiety relief and stress reduction. Through art therapy, one learns how to use art in a way to cope with the emotions that life throws at you. This is a skill that one can take outside of therapy sessions, and use to improve their overall quality of life. So who can be an art therapist? 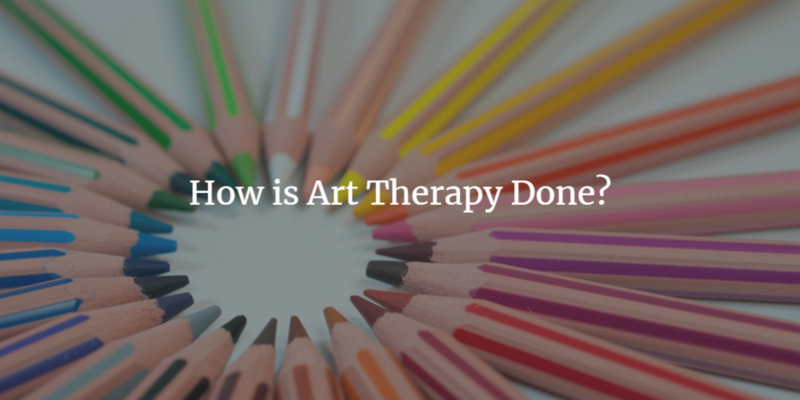 Since the establishment of the AATA, there have been several guidelines put in order to make sure there are competent art therapists entering the world. Art therapists are required to have master’s-level training in art therapy, along with several hours of internship and supervisions. 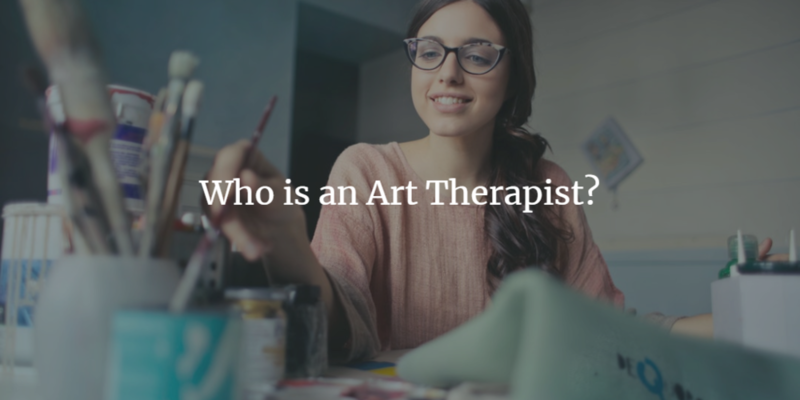 Art therapists work in a variety of locations including hospitals, jails, schools, and wherever else you may find a counselor. You might be asking what an art therapy session looks like. That can look different depending on the art therapist you’re seeing and the location you’re at. You can find art therapists working with individuals, groups, and families. In the session, you will find a variety of materials being utilized, and some sessions may even have the benefit of taking place inside an art studio. The art therapist would be encouraging to letting you explore with new materials and allowing the space to process your feelings into your art. Art therapy sessions may or may not have a lot of talking. This is what really drew me to this type of therapy. While you're creating your art, you will generally have the option to create in silence until you're done, or talk to the therapist while in the process. To become an art therapist, you need to find a master’s-level art therapy program that is accredited by the AATA. It is helpful to have an undergraduate focused in psychology, social work, or fine arts. I hope your creative energy has been sparked enough to consider art therapy. Its a great alternative for those who have a hard time verbalizing their emotions, while being an overall great skill to add to your coping toolkit. Junge, M. B. (2010). The modern history of art therapy in the United States. Springfield, IL: Charles C. Thomas Publisher. Malchiodi, C. A. (2010). The art therapy sourcebook. New York: McGraw-Hill.